One of our favorite food and travel writers, Elizabeth Minchilli, lives in Rome. We love following her Instagram stories that document life in Italy. A few weeks ago she was making dinner, and made a simple pasta with radicchio and ricotta. We scribbled down some notes before the story went away and we’ve slightly adapted the recipe and tested it a few times since then. This pasta uses ricotta to make a simple, creamy sauce. It’s a creative way to use seasonal radicchio. This recipe is an example of one of our favorite things about Italian cooking. So much of their everyday cooking is simple and economical, but the quality of ingredients makes it special. Be sure to find really good ricotta cheese for this. We tried it with hand-dipped ricotta from the cheese counter at the grocery store, and basic pre-packaged ricotta. There was a huge difference. Interestingly, the hand-dipped ricotta was heavier (16 ounces was about 1 cup). The same weight of pre-packaged ricotta had about twice as much volume, meaning it was drier, fluffier, and not as flavorful. Bottom line: get the good stuff. You can use any short pasta shape you want. 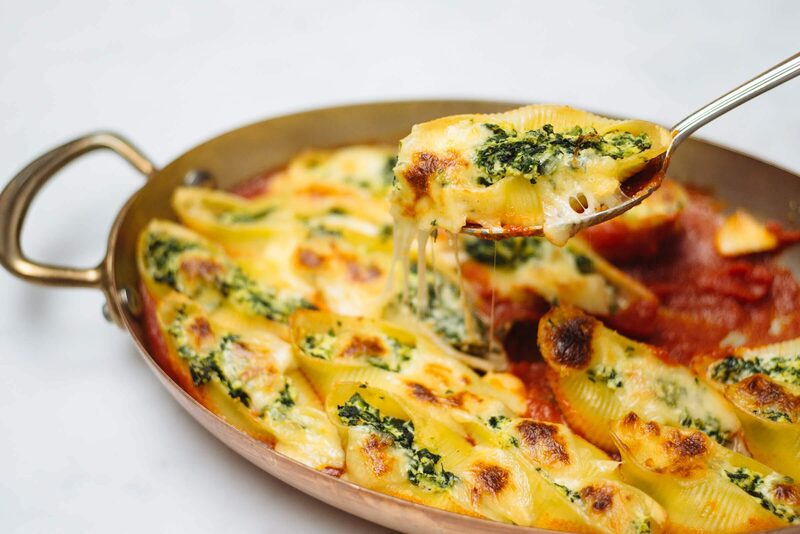 We’ve tested it with rigatoni and penne, and liked the rigatoni best. Pair this with a glass of wine and salad for weeknight dinner perfection. Also, be sure to check out Elizabeth Minchilli’s book on Rome. It’s full of some of our favorite traditional Roman recipes and is a great resource for planning a trip to Italy. Bring a large pot of salted water to a boil. Cook the pasta in the boiling water for 2 minutes less than the amount of time specified on the package. 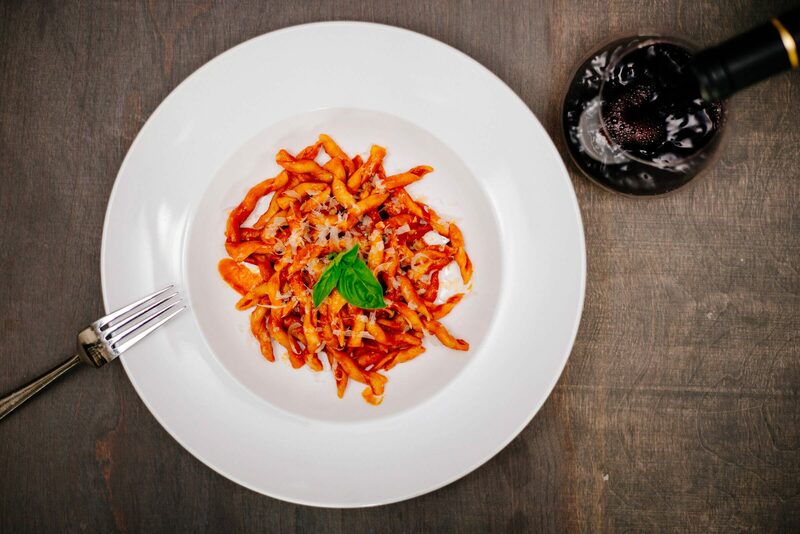 Before draining, reserve one cup of pasta water in a measuring cup and set aside, then drain the pasta and reserve. Meanwhile, heat a saute pan over medium heat and add enough olive oil to coat the bottom of the pan. Saute the onions and garlic in the oil until very soft, then add the radicchio slices. 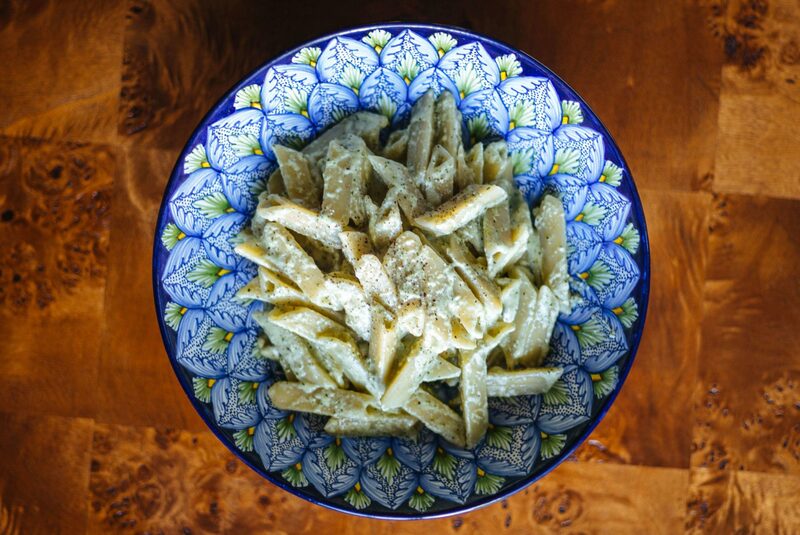 In a small bowl, combine the ricotta and a handful of grated Grana Padano or Parmigiano Reggiano. When the radicchio is wilted, add the cheese mixture to the saute pan, along with the cooked pasta, and toss to combine. Add enough pasta water to thin the cheese into a sauce consistency. Season to taste with salt and pepper and serve immediately.